'Israeli move an act of banditry,' claims PA, after Israel prepares to compensate Israeli farmers harmed by Arab rioters. 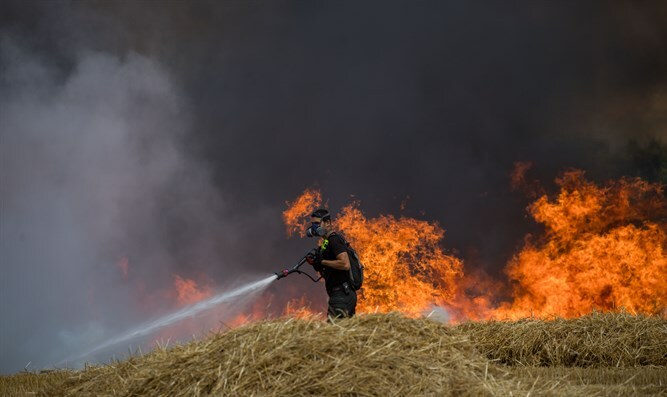 The Palestinian Authority expressed outrage Monday after Israeli Prime Minister Binyamin Netanyahu ordered the Israeli National Security Council to begin deducting money from Israel’s tax transfers to the PA in order to compensate Israeli farmers harmed by Arab arsonists near the Gaza border. PA spokesman Yousef al-Mahmoud called the plan by Israel to penalize the PA for damages caused by Gaza residents to Israeli farmers “an act of robbery and banditry”.